What are direct and indirect taxes in India? The Constitution of India empowers the state and the Central governments to levy taxes that are approved by the law passed in the Parliament or State legislature. Tax is a mandatory fee imposed by a country on its citizens for its economic growth and to raise the standard of living for its citizens. The Constitution of India empowers the state and the Central governments to levy taxes that are approved by the law passed in the Parliament or State legislature. Taxes that are imposed directly by the government on the income and wealth of an individual/organization are called direct taxes. 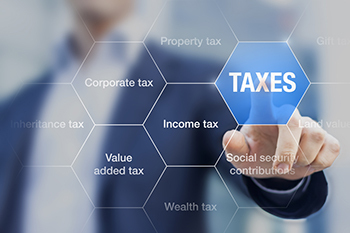 Liability of direct taxes cannot be transferred to a third party, and the payment needs to be done directly to the government. Income tax: Income tax is applicable to the income earned by an individual coming under specified tax brackets by the IT Act, 1961. Every individual has to pay his income tax annually. The act also specifies tax deductions with a specified limit. Capital Gains Tax: Capital gains tax is levied on the income received from an investment or a sale. It is of two types namely short-term (less than 12 months) and long-term capital gains (more than 12 months). Securities Transaction Tax (STT): STT is levied on the sale and purchase of securities in the Indian stock market. Corporate tax: Similar to income tax, corporates also pay taxes for the income earned by them. There are slabs that decide the rate of tax for companies. Dividend Distribution Tax (DDT): This tax is levied on companies that pay dividend to its investors/shareholders. The current DDT rate is 15% and is applicable to the income received by the investor from his/her investments. Indirect taxes are charges that are applied to goods and services and hence, collected indirectly from the end consumer. It can be transferred from one entity to another. Sales tax: Sales tax is levied on the sale of a product. The tax is applicable during the sale of the product along with its price and is transferred to the buyer. Service tax: Service tax is included on the amount charged by a service provider to their customer. Central Excise Duty: It is a tax that is levied on goods that are manufactured or produced in India. It is also known as CENVAT. Customs Duty and Octroi: Customs duty is applicable to products that are imported from foreign countries. Octroi is levied on goods that are transacted across state borders. The workings of customs duty and Octroi are quite similar. Value Added Tax: It is a tax that is charged on the value added to the product during its manufacturing process. It is applicable to all stages of the supply chain from manufacturers to the end consumer. Goods and Service tax: This tax is one of the major reforms in the tax structure of India, and it has absorbed about 17 taxes in its regime. It covers excise duty, sales tax, service tax, octroi, central sales tax, VAT, and others. With the introduction of GST, the cascading effect of tax where the customer bears the brunt of the taxes levied on the manufacturing and sale of a product by paying an inflated price is now no longer prevalent. GST also comes with numerous benefits such as Input Tax scheme and Composition Scheme. Both direct and indirect taxes play a vital role in the country’s overall economy. With the beginning of the GST regime and other amendments in the income-tax slab, India is making its mark in the global market.